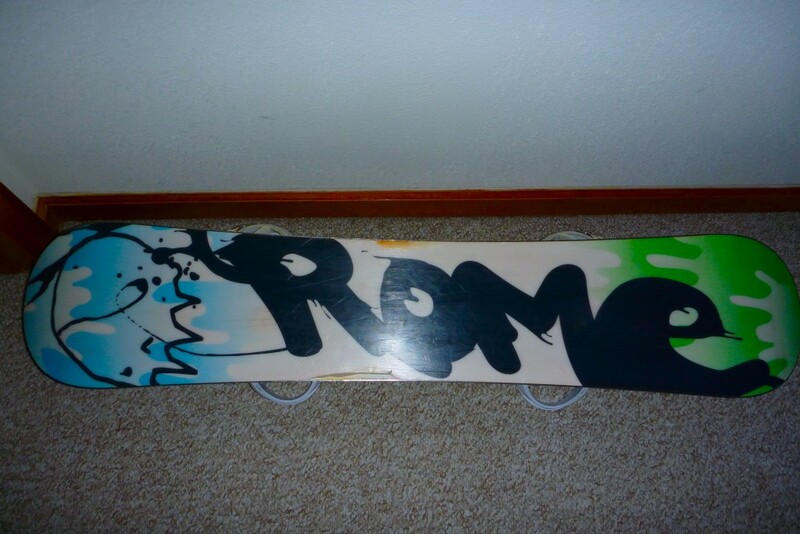 My Little 133cm Rome Label kids board finally died! As I was on my way home from copper today, I unstrapped and picked up my board to find the base delaminating on my heal side edge. 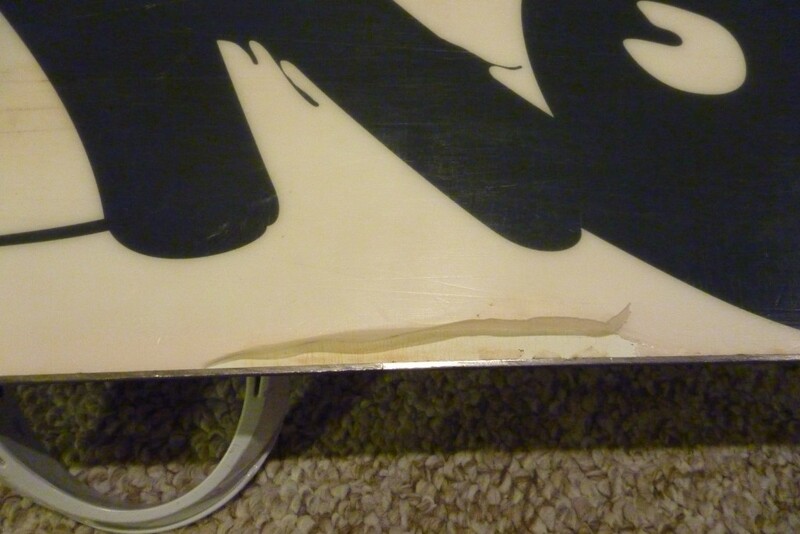 Time to find a new board!